pretzels | Let There Be Food! 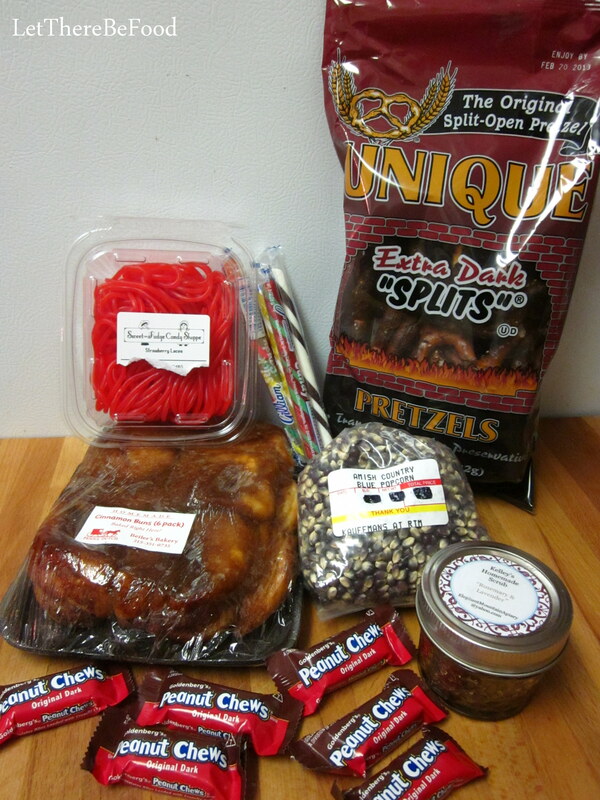 I’m back in the Foodie Pen Pal saddle this month with a splendid box from my new friend, Julie from Philadelphia. Julie and I have had great fun writing/tweeting back and forth about culinary delights in Philadelphia. If you’ve never been to Philly, you should definitely put it on your list of places to go! It’s a wonderful city with lots of history and tremendously tasty food options. One of the beautiful foodie joys of Philly is Reading Terminal Market. Julie got the treats for my box by wandering around the market and letting her “hungry guide her.” She said she sent me the “carbs of Pennsylvania.” I do enjoy me some carbs! Let’s get down to the nitty-gritty of what I got! Here’s the overview of everything. The sweets are up first. Yes, please, and thank you. The Red Laces were an impulse buy for Julie, but a total WIN for me. I love strawberry Twizzlers, and these are WAY better. The boyfriend is also a fan, and together, we’ve been making our way through the generous container. These are so fun. 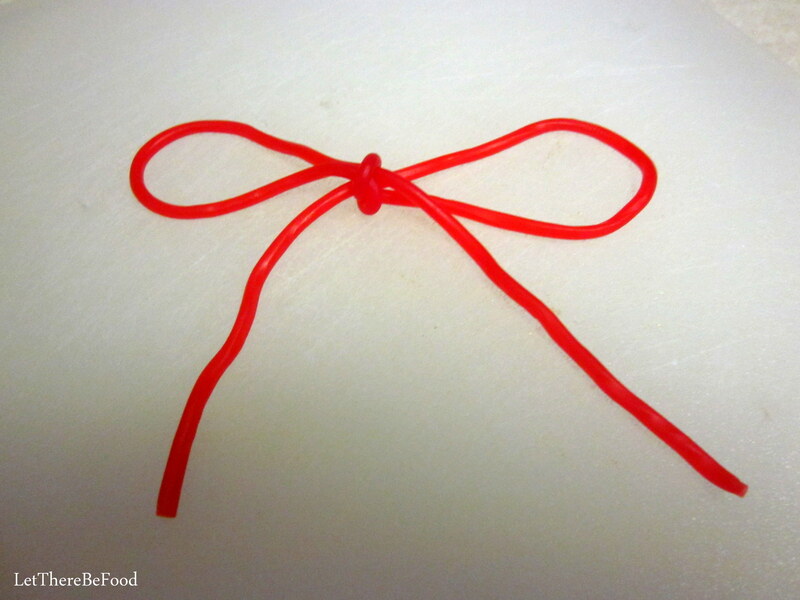 They stretch and are bendy so you can do fun things like tie them in a bow. The fruit flavor is intense, and gets you in the back of your throat just a little bit. It’s a no-joke strawberry taste that I adore. Nom nom nom. They are so long and stretchy! They make it easy and fun to play with your food. Goldenburg’s Peanut Chews are also a delight for me. They are dark chocolate, peanuts, and caramel. It has a very distinctive bittersweet flavor from the dark chocolate and caramel.There is a touch of salt from the peanuts, and because it’s a bite-sized piece of candy, it’s all just the right amount. It is possible that Julie kept some of these back for herself, but I ain’t mad at ya, girl. I have plenty for me without being out of control. 🙂 I eat one after lunch and it’s just perfect. The stick candy is so nostalgic and fun. I haven’t eaten them yet, because I’m waiting for the right opportunity. Boyfriend is also excited about them so I expect that I’ll have to share. But I believe that good flavors will abound. 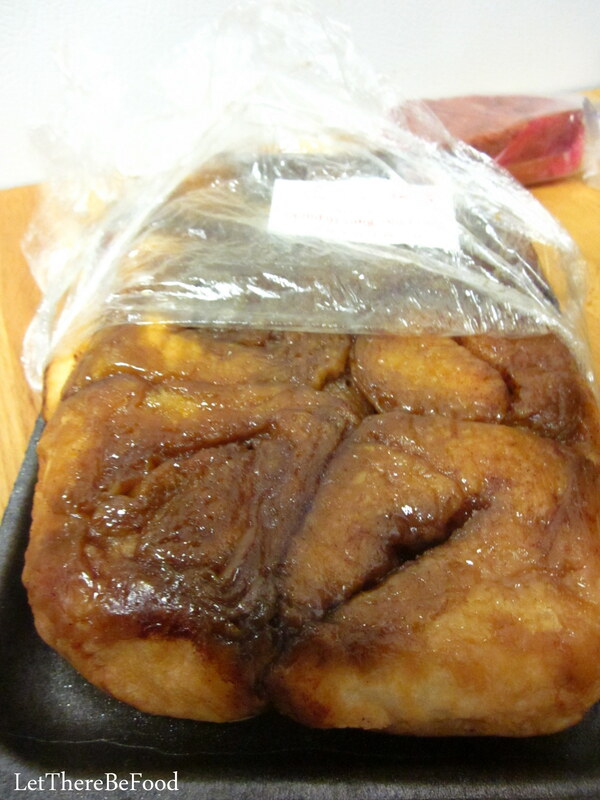 Y’all, I got some legit Amish sticky buns! They were cinnamony and yeasty, and a total delight to have for breakfast several mornings in a row. I warmed them up in both the microwave and the oven, and every time they were so good. I’m not one for frosting on my cinnamon rolls because I think it hides the cinnamon flavor and all you end up tasting is sugar. 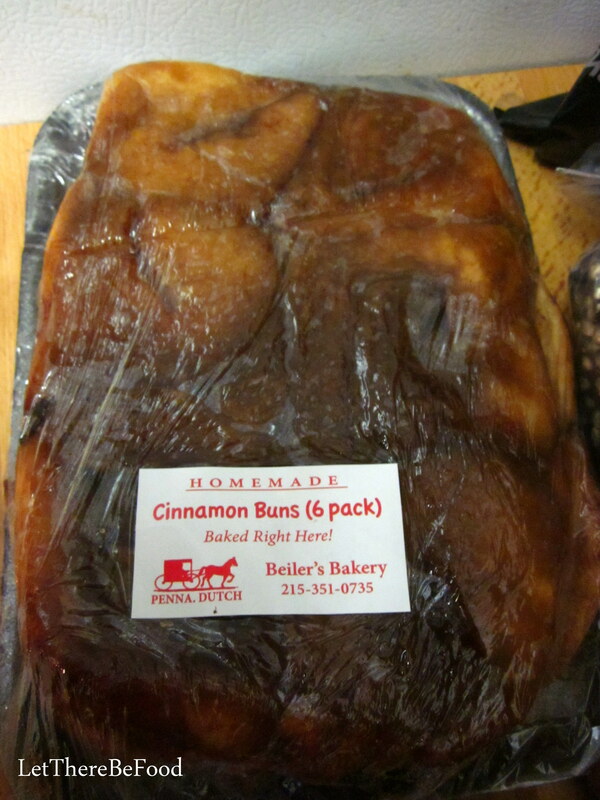 These buns were frosting free, and thus full of every flavor I could want in my cinnamon rolls. Thanks, Julie! 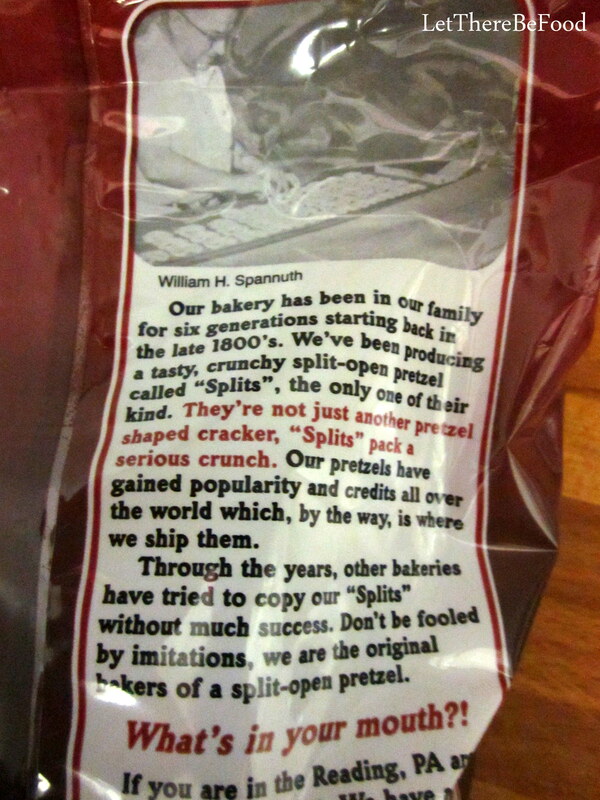 Julie also sent me a bag of extra dark split pretzels. To be honest, I thought the pretzels were covered in dark chocolate when I first saw the bag. That’s how dark they are. 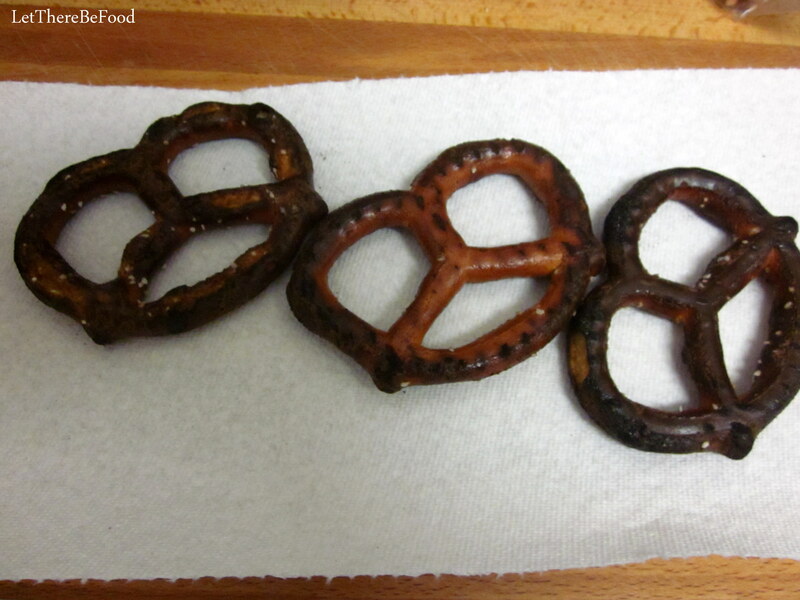 These pretzels are dark because they are “nicely burnt” (according to the bag) as part of the creation process. Back in the day, the burnt ends of pretzels were split off and sold. 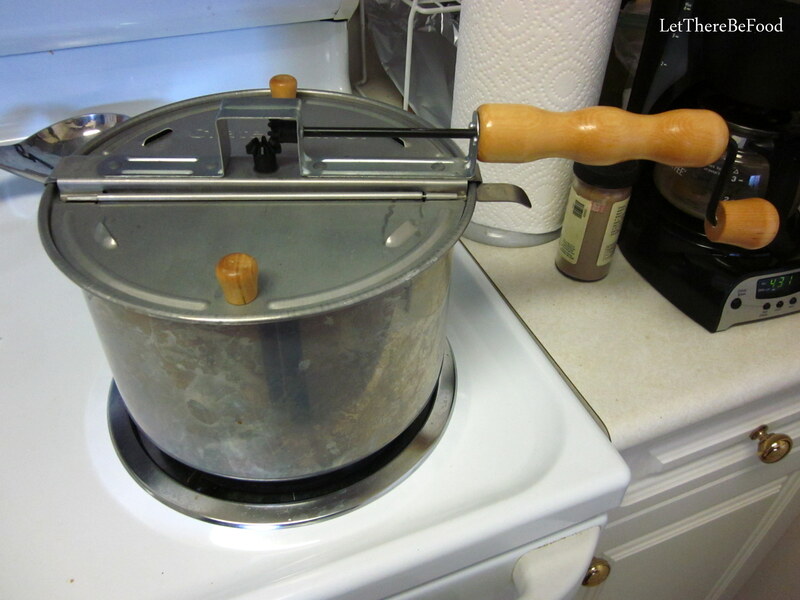 Eventually they became a favorite staple for so many that now they are made and sold as such. These are Julie’s favorite so I very much wanted to like them. Alas, these did not fall into my favorite category quite like the Red Laces or the Peanut Chews. But I do appreciate the exposure to them and knowing a little more about pretzel making in Philadelphia now. What Julie had no way of knowing when she sent the box, because we never talked about it, was that growing up popcorn was a staple in my home. It might as well have been its own food group. 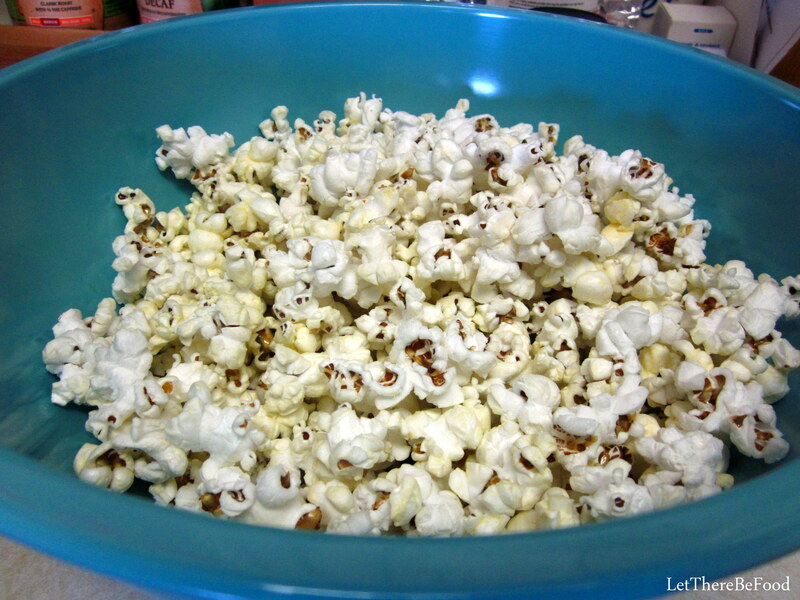 I pretty much love popcorn. So good. Blue popcorn is quite intriguing to me! I was a little disappointed to discover that the kernel does not stay blue when it is popped. Nonetheless, these small kernels had just the right crunch and burst of corn flavor for me. Popping corn is serious business in my kitchen. 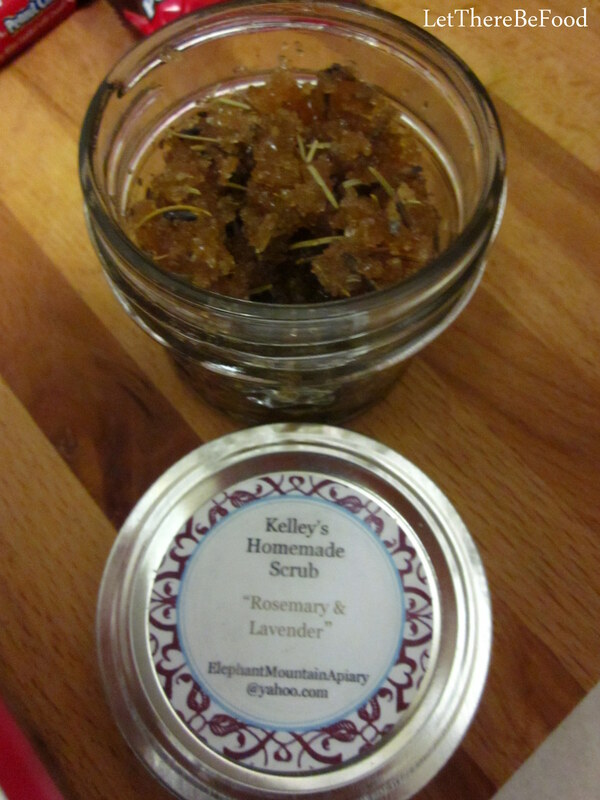 The hand scrub smells like an herb garden and will be fabulous to use when I’m trying to get that garlic or onion smell off my hands or if I’ve got pesky pepper juice on my hands. 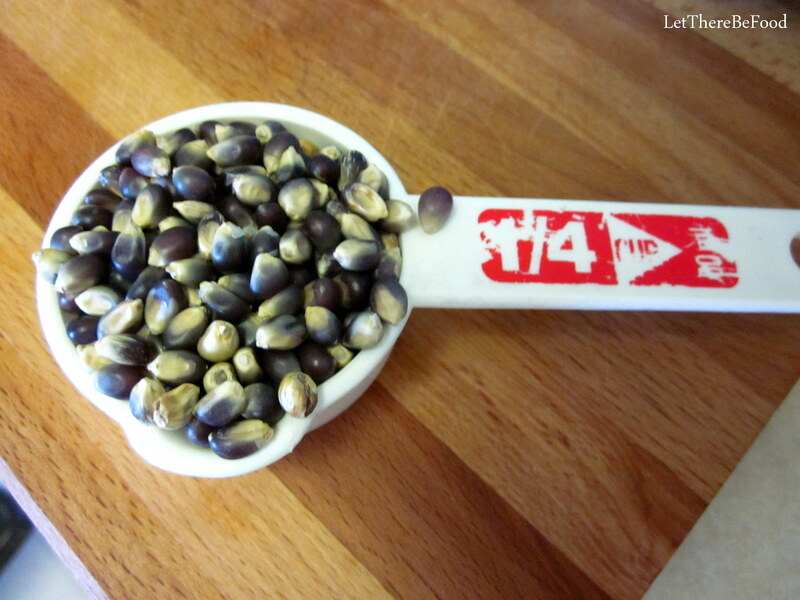 The granules and pieces of herbs in the scrub will help remove unwanted oils or smells, for sure. So handy! What a great “welcome back” box to get this month! I’m glad to be back in the program. 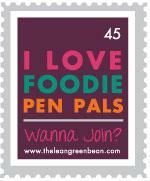 If you are interested in joining up with us, head over to Lindsay’s blog at The Lean Green Bean. She has all the details you need to sign up. Like any good project, there are a few rules and guidelines to help everyone be successful. You must sign up by February 4th to receive your match. You have a spending limit of $15 per package/month. After shopping for your partner, you mail the lovely box on or before the 15th of the month. If you are a blogger, you post about the box you received on the last day of the month. And you agree not to send things to your partner that will make them sick. It’s pretty simple. 🙂 It’s a lot of fun to be a part of the whole swap, and there is a link-up party on Lindsay’s blog at the end of the month so you can see what other folks got as well. I hope you’ll join us. Many thanks to Julie for her thoughtful purchases. 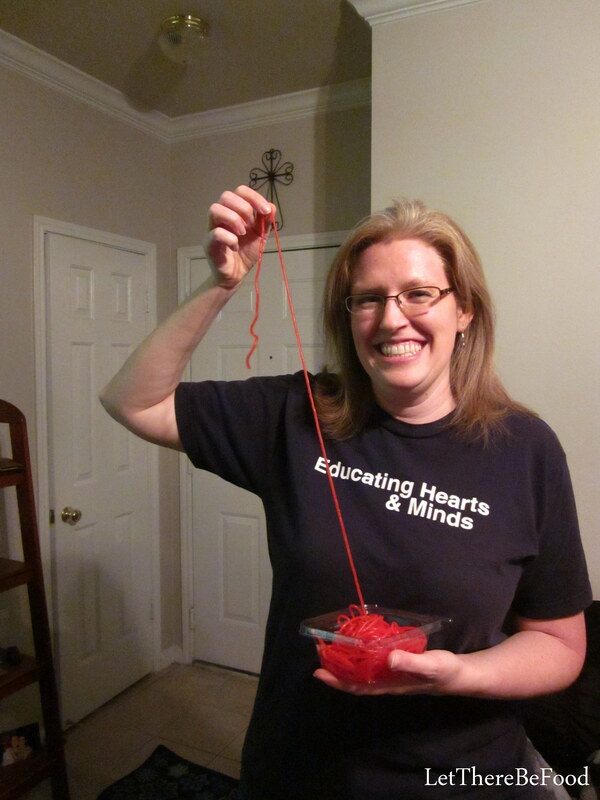 Check out her awesome blog, What Julie Ate, and make some of her great recipes! She doesn’t disappoint! Until next time, happy eating!